AnonD-231628, 08 Feb 2014how to download games on this cellphone i have no idea pls. reply the answer because i really ... moreDownload any free NES ROM then save it in the folders. tonito, 19 Mar 2014Where did you buy your a336? Thanks.Where is it available here in the philippines? Thanks. AnonD-231628, 08 Feb 2014how to download games on this cellphone i have no idea pls. reply the answer because i really ... moreWhere did you buy your a336? Thanks. put some file to ebook reader ? please I need to customize some phone brand for my society with membership of almost two million (2 million). please communicate if your company is interested in the deal. I dont expect much on low-budget cellphone. 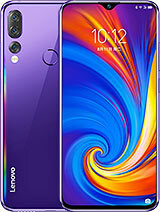 All I want em to be is small, sleek and will serve it's purpose -to call or text... and my Lenovo A336 is near perfect for me. lots of NES game roms to download and play with this phone. good music player(works like an old school walkman). it does look much like of a walkman phone(i.e. sony ericsson w810i phone). music playback is very good with 3.5mm jack with 8 equalizers(use better headphones for much better audio bass effects). create playlist on its music player. check out on the music and gaming keys(wish the music keys were on the left side for more convenience). it actually can scroll more than hundreds of songs and other files(though somewhat on a slow pace). flashlight is a nice tool. impressive batter life(u get more than 1 week of power out of it depending if you're not heavy on its features). charge via usb either pc or power outlet. plays mpeg4 formats for cellphones. very large LCD display and looks good too. slow updating memory particularly its music library(especially if u plugged in a full 8GB worth microSD with many contents). sluggish video playback if full memory on its microSD(given that u had restarted the phone). very low fm radio sound(it doesn't matter what's your headphone plugged into). not all games are playable or compatible even if its still a nes game file and some gets choppy display. playlist creation limits to only up to 16 playlist(too bad..). file names are only limited to 35 characters only(just like any other regular china phones i saw with such weird software limitations) which makes your file name looking weird to read and its definitely annoying. Overall its a good good phone. I dont care about the camera. Im a music audiophile but into budget types and i used this phone simply for portable music purposes, call and text my friends, and some nice games to kill time and amazed people along the way. 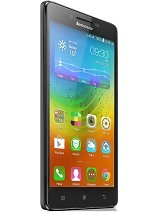 and for its very damn cheap price...lenovo a336 FTW! eramis, 27 Dec 2012Does this phone goes slow when I try to download many games and music? 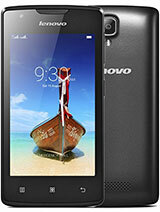 Is this a cheap kind of... morehow to download games in lenovo A336? branded phones are long lasting depends on the user.. 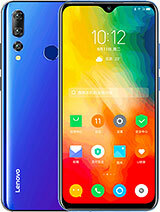 Does this phone goes slow when I try to download many games and music? Is this a cheap kind of phone? Please answer. I want to buy it so badly. I don't have this phone yet, but it is the best phone to have. 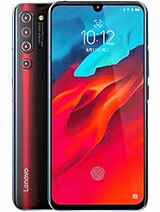 I mean, it has all the things you need in one small, simple, yet intuitive phone, like its dedicated gaming/music keys, camera, webcam, long-lasting battery, bright display (i guess),answering machine, and DUAL SIM. The phone is pretty responsive, functional and impressive but has "little" disadvantages indeed. So, all I wish is to buy this phone even though I have an android phone. arbizi, 26 Oct 2012when i made an e book .txt format,i downloaded it to my phone and then when i tried it the cha... morei have the same prob as yours madame. when i made an e book .txt format,i downloaded it to my phone and then when i tried it the characters were on chinese. !how can i fix this.? 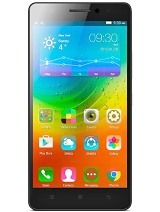 Total of 24 user reviews and opinions for Lenovo A336.